So, you want to support us by purchasing a sponsor coin and learning more? We want to make this event for families to be an inexpensive experience. In addition, we’ll be offering a themed childrens‘ entertainment programme with painting, crafts, make-up, etc. The cost of these would be covered by your support. 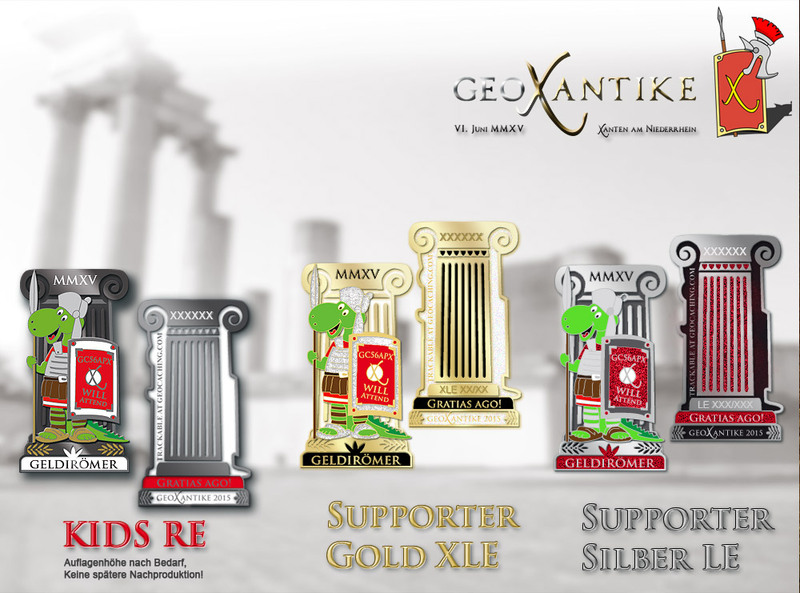 The sponsor coin is limited to (GOLD XLE 75) for 20,- € and in SILVER (LE 150) for 15,- €. 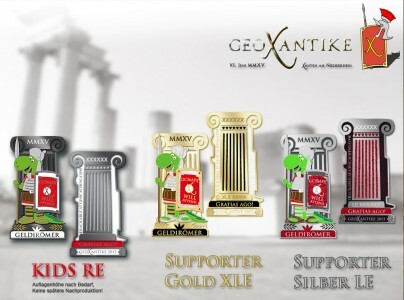 Each coin will also be provided with a special numbered engraving. As the design is also very appealing to children, we‘ve decided to also provide it as a kid‘s coin in BLACK NICKEL (RE) , but without additional engraving. The coins can be ordered via the shop from the beginning of December at 10,- € per coin. These coins are only available via pre-order, and once the pre-order period (late February) has expired, no further orders will be accepted. We’d like to draw your attention once again to the fact that the sponsor coin is not the event coin and that it will not be reproduced. The output of this coin is only possible on 05 and 06.06.2015 at the event. We do not anticipate providing shipping. We’ll send out an announcement as soon as the store goes online. We’d like to thank all of our sponsors for supporting our campaign “Children experience History“.